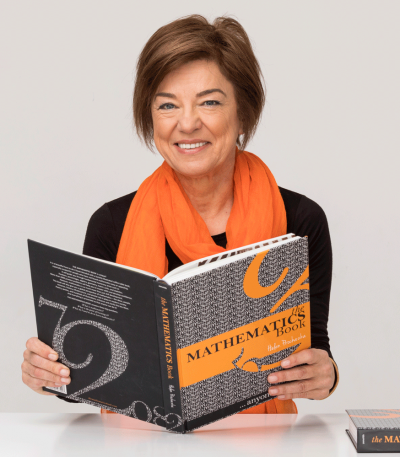 Teacher and former president of the Mathematical Association of Tasmania, Helen Prochazka, has an enduring love for mathematics that has seen her author a series of high school maths textbooks, as well as her latest book for adults, The Mathematics Book. Prochazka spoke with Australian Self-Publisher about her self-publishing journey. The Mathematics Book is a lavishly illustrated ‘how-to’ coffee-table book created for adults who ‘can’t do maths’. It gives readers the opportunity to improve mathematical skills while also showing them the wonders of mathematics and a global perspective of the role it plays in our society. The book is a large format one with 376 pages that weighs in at 1.7 kg. It has over a hundred full-colour photographs and several hundred diagrams. The costs for a traditional publisher to do what I wanted would be prohibitive. I realised that the only way to make my vision happen was to give up full-time work, finish writing the book and self-publish. I began writing the book in 2010, in a tiny almost sea-side bungalow on the Mornington Peninsula. The deprivation and the romance of several months of living like that made me feel like a ‘real’ writer! But most of the six years it took to complete the book were spent in my home state, Tasmania. The only person I contracted was a great Hobart graphic designer, Clare Bradley. She created the overall book design and cover and then worked as a consultant, helping to turn my rather crazy dream into a reality! Excellent editing is essential for any book, and the recognised wisdom is to not rely on family or friends. However, I was lucky enough to have four people amongst my family and friends who had the expertise to carry out the various types of editing. One even had the maths knowledge and fortitude to check the answers to more than 2000 problems contained in the book! Everything else, from drawing the diagrams to indexing, I did myself. The book has been structured in layers, with each layer telling a different ‘story’ about mathematics. The theory and exercises layer is the most important one but is made as unobtrusive as possible, given that the target audience is inclined to be maths-phobic! Other layers include the history and context, quotes expressing the views of others, and images to illustrate the amazing nature of mathematics. The final layer is a sequence of 14 poems which give an overview of the book’s contents in rhyme. This has all been packaged up into a big glossy book that models the essence of mathematics—patterns, harmony, beauty and applications. There is no other book like it. Without a doubt, the biggest success is hearing that The Mathematics Book has made a difference to someone’s life in some way. However, running a close second was seeing the book in the number one nonfiction spot in a major Tasmanian bookshop for almost three months. It was quite surreal to see books by famous authors occupying the same shelf, unable to knock a maths book from the prime position! The page layout was a major challenge. It took a month to roughly work out what would fit where and almost two years to fine-tune the contents. This stage was punctuated by periods of utter joy and times of deep frustration. A word would be deleted or a sentence added to make the typography more aesthetic. Diagrams would be altered to better fill spaces. And if the maths itself did not look good on the page, it was changed. The process was organic and the manuscript was very much a work in progress until almost the very end of the layout. 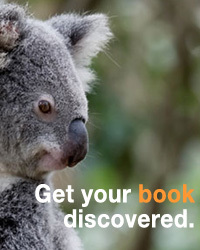 My top tip is to join ALLi—the Alliance of Independent Authors. As a member you will have access to numerous resources and the combined knowledge of more than a thousand fellow indie authors that will assist you to produce an industry standard book and learn the skills to market it. ALLi support will help you get through the tough times and when you succeed, they will be there to help you celebrate! Another part of my maths vision has already been produced—a music album, More than Numbers, based on the poetry from The Mathematics Book. The next goal is to publish some smaller books that complement the book. The first two in the series will be titled The Pure Mathematics Book and The Applied Mathematics Book.